Escape with us. Where the air whispers of magic. Where storytellers and fortune-tellers alike once unfurled their captivating gifts. Where a French fashion titan ran for renewal and renewed inspiration. Where the healing properties of plants and herbs are held in veneration. Where the meditative call to prayer invokes calm. Where fear of the evil eye breeds humility and a reminder of the protective Hand of Fatima. We invite you to join us in Marrakech. This gathering is designed for writers and book lovers in search of communal solitude. For those inspired by narrative, place, and the prospect of stealing away to read or write. Retreat to stillness, reflection, and deep thought. Permit the distinct vibrations of Morocco to awaken new beginnings or clear the path for much needed resolutions. We welcome you to join us for a luxurious stay outside the hustle and bustle of the city. We've done the homework for you. Just pack your bags, choose your flight, and meet us there. Each excursion is thoroughly researched. Every activity hand-picked. We've taste tested the menus and made sure your accommodations are not only clean and comfy, but designed to inspire. We understand the importance of stillness, so we work diligently to protect your peace. We take care of you, so you can nourish your creativity or indulge in quiet reading and reflection. We value the richness of gathering like minds, diverse in experience, from every corner of the globe, and we make space for lively discourse. We highly respect our impact on the places we visit and offer deeper insight into local culture. On arrival day, we'll transport you from the airport (RAK) to Peacock Pavilions, a family owned estate, custom-built by green architect Chris Redecke and interior designer Maryam Montague. After a brief tour of the property, we'll gather under an Arabian tent to break bread together and enjoy a welcome feast prepared in your honor. Sleep in, or meet us on the yoga mats for an eastern sunrise practice. Breakfast is served daily on the main terrace and prepared with the rich and varied spices employed for centuries in Morocco. We'll sit poolside on plush carpets and give ear to tales of old, spun by a Traditional Storyteller and practice this ancient craft under the artful guidance of Mehdi El Ghady. Lunch will be followed by free time to explore a good book, work on a writing project, or socialize over digestifs. For those interested in kitchen table style discourse, we'll meet around the fountain inside the main pavilion to discuss women and magic in Moroccan literature. Dinner will be presented under the light of the lanterns on the cabana. 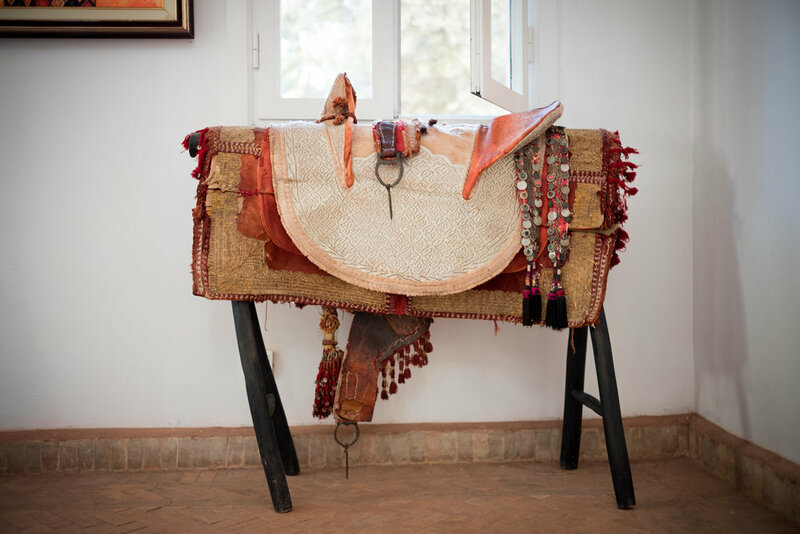 After breakfast we'll head over to the newly completed Yves Saint Laurent Museum to witness how the vibrant textiles of Amazigh culture influenced the couturier's aesthetic and can serve as muse to your work as well. We'll enjoy lunch under the spell of cascading pink trumpet vines and a menu of French infused Moroccan dishes at Cafe Le Studio, a tranquil respite adjacent to the exhibitions. With writing prompts in hand, we'll make our way to Jardin Marjorelle and take refuge under its shades. A Berber Museum and the historic home of YSL are on site and open for visitation. We'll reconvene for a journaling session evoking the five senses in our writing practices and creating sacred reading rituals that engage the same senses. In the late afternoon, our guide will lead us through the medina to visit various souks. Our evening will end with a street food tour in the main square. Sleep in, or energize to a sunrise yoga practice. After breakfast, trek with us to Jnane Tamsna for a cooking class with Chef Bahija, who enjoys a culinary cult following according to Goop. After lunch, explore the gorgeous palm groves on camel back or simply stroll the botanical gardens at Jnane Tamsna. 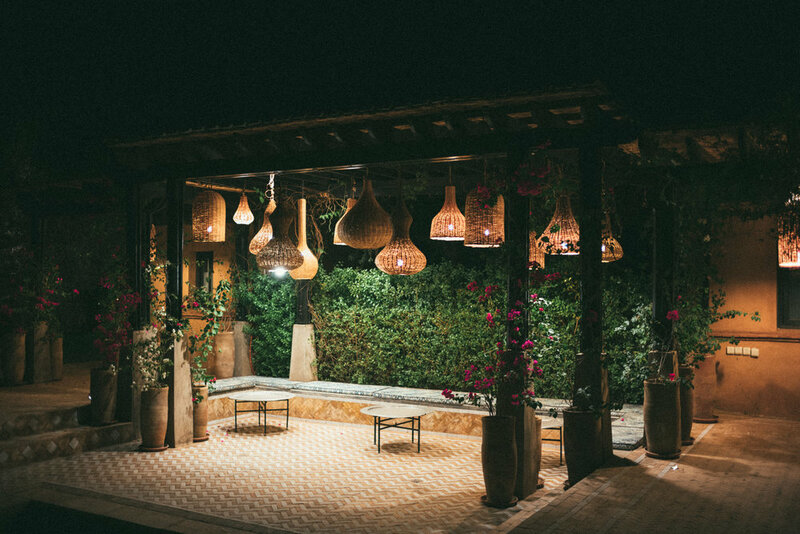 Upon return to our riad, we'll meet with a Morocco-based blogger for an intimate conversation. Dinner will be held on one of the roof terraces accompanied by locally grown wine and followed by a night of literary games. Our farewell breakfast will be held in the dining tent, followed by final reflections. We'll taxi you back to the airport for a safe return home or transfer to your next destination. Select the "Full Payment Option" to reserve your space immediately and save. Or select the "Partial Payment Option" and cover your costs in four equal monthly installments (one deposit + three invoices). Registration ends June 30, 2018. Protect your investment with a "Cancel For Any Reason" insurance policy, which can be purchased separately and independently. Be sure you can attend before booking as we do not offer refunds. Our price is fixed in euro regardless of current exchange rates. 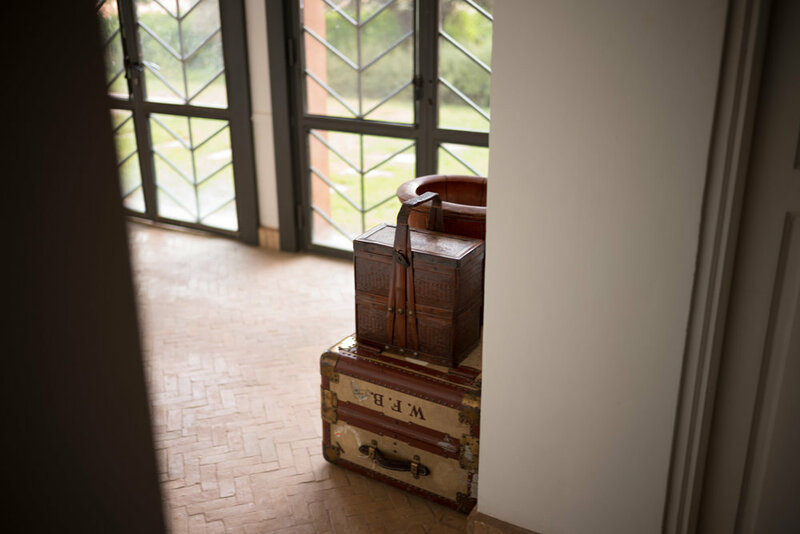 Each Story Rebels retreat is designed by our founder Malika Ali Harding - a travel writer and photographer with an interdisciplinary background in cinema and contemporary art. She meets literary nomads in breathtaking destinations around the world for writing, reading, and wellness. Working in collaboration with thought leaders in literature and oral storytelling, she aims to advance understanding of narrative forms by providing people opportunities to engage in story based adventures. Her blog Painted Lips Don't Lie distills everyday human interactions into word portraits that reveal the fears, secrets, humor, and longings that link people, one to another, all around the world. Each travel experience supports and spotlights our social justice platform - fortifying organizations that fight the epidemic of mass incarceration in the United States. We answer all inquiries within 24 hours. If you do not hear from us in that time frame, feel free to email writeon@storyrebels.org directly. We appreciate your interest!